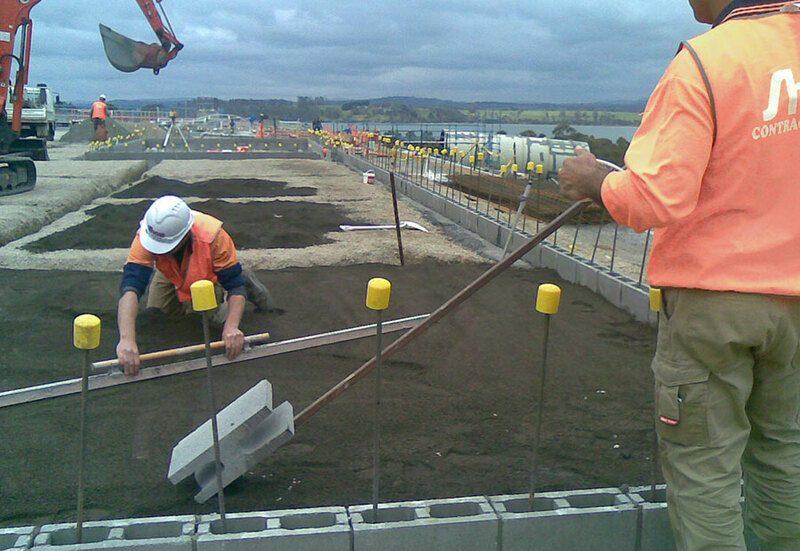 Shaw’s civil infrastructure expertise has been developed over many years - from major highway construction in Tasmania, on the mainland and overseas to water and wastewater treatment plants and complex industrial structures. 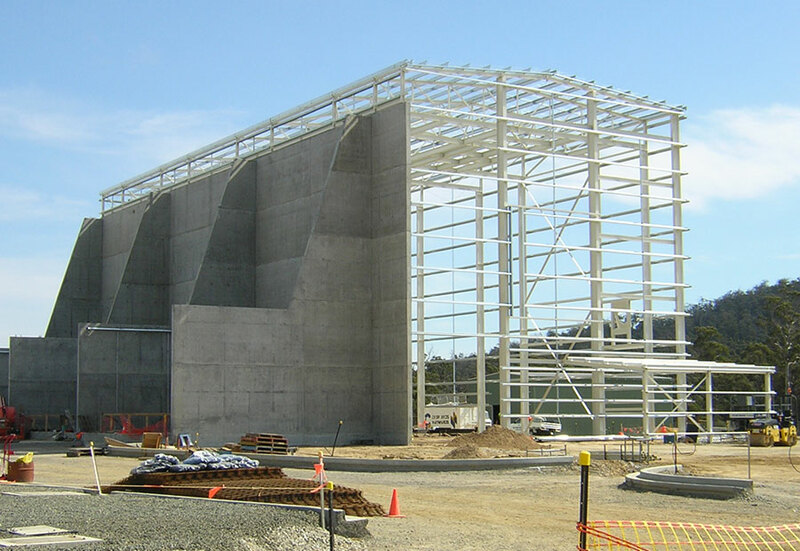 Shaw’s experienced building teams have constructed its own workshops and office complexes using a combination of structural steel and pre-cast tilt up concrete panels, prefabricated in-house. 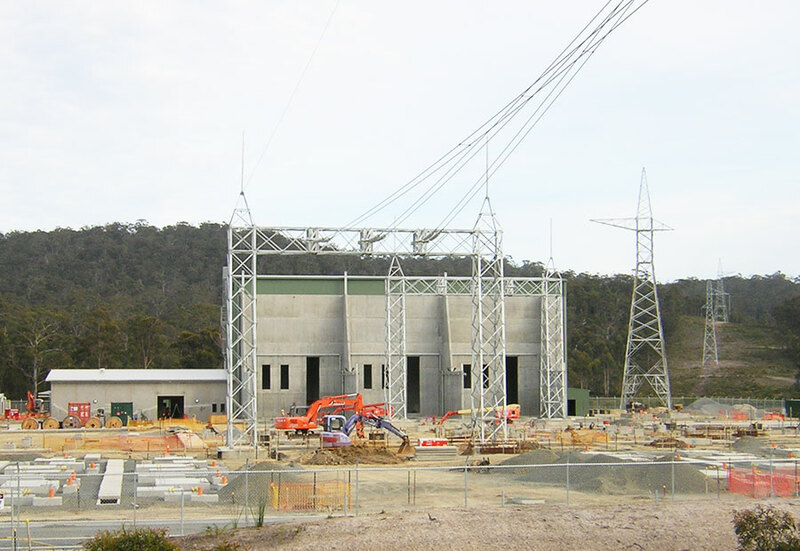 Restoring the Lower Lake Margaret Power Station to the grid of Tasmania's highly ecologically sustainable hydro-based electricity system has seen a masterful combination of old and new technologies. 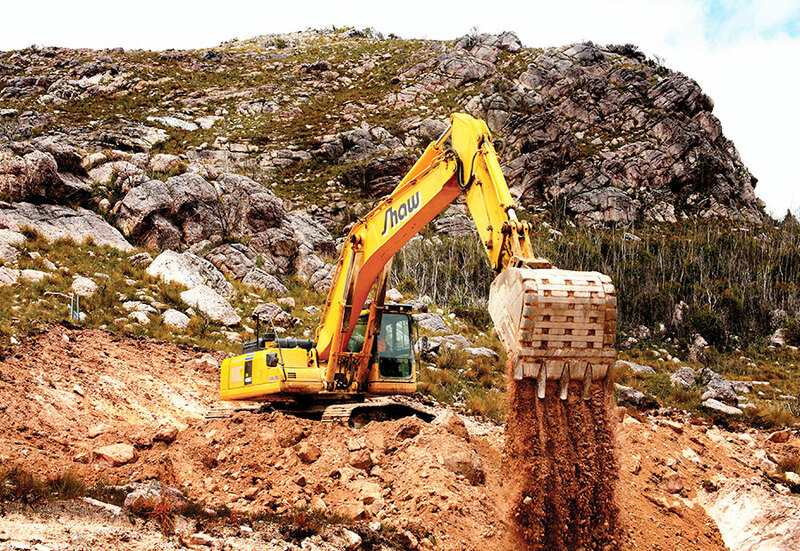 A mix of "on the job smarts" and "solid engineering principles" brought about a set of practical solutions to a series of economical, environmental and community issues, not to mention the construction tasks of working in a rugged landscape with slopes of 38 degrees and temperatures ranging from -3 to 25 degree Celsius. 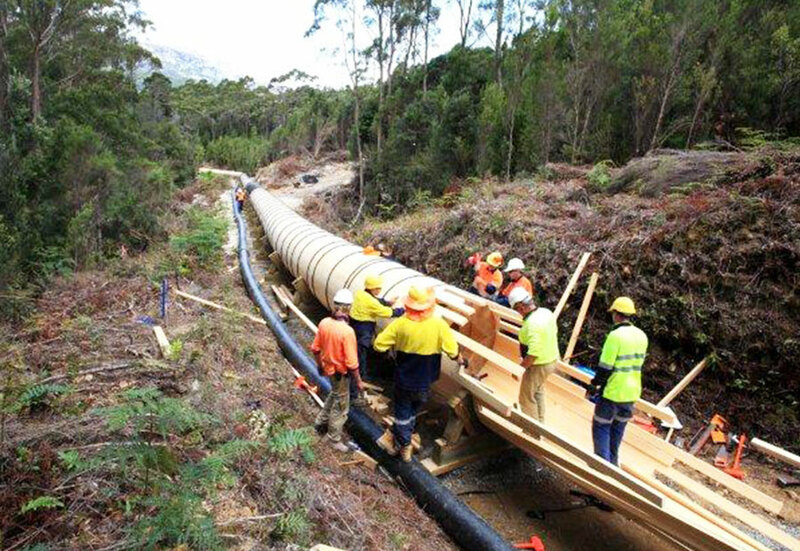 Hydro Tasmania initially looked to re-commission the Lower Lake Margaret Power Station using steel pipes or possibly fibreglass pipes on the two-kilometre hilltop section. But it faced considerable community opposition to replacing the century old wood stave pipe - despite its obvious poor condition. The solution was one that addressed not only these community concerns, but also a more pressing practical one - cost. The answer, replace the wood stave pipeline with a wood stave pipeline for the two-kilometre hilltop section. And on the crucial penstock section leading to the power station inlet valve, the decision was taken to replace the old steel pipeline with fibreglass reinforced plastic, leading to a world first in the above ground use of this type of composite pipe. The solution addressed not only these community concerns, but also a more pressing practical one - cost. The task of blending these two technologies, separated in their development by thousands of years, harnessed Shaw’s broad expertise across a range of civil engineering practices to complete what many would see as two complete projects in one. 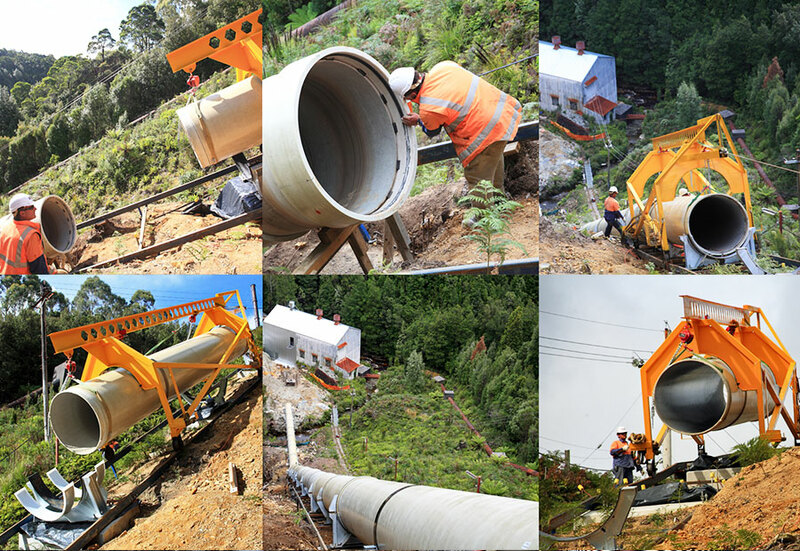 The logistical complexity of the project was acknowledged by Hydro Tasmania as being one of the most significant features of the job. Integrating the completely different types of technologies and different methodologies into the one project, within a tight timetable to meet a series of changing deadlines, also added another level of complexity. On the environmental side, the area had been listed by Heritage Tasmania. This meant that every step of the process had to be approved by the listing authority and changes to the approved plans had to be submitted for acceptance before progressing. The 10-page listing included both natural environmental features, such as flora and fauna, varying from rain forest sections through to sub-Alpine regions, as well as the "built environment" of the old Lake Margaret Village, the old tramway tracks, the wood stave pipeline, heritage bridges, old camp sites and the historic power stations. 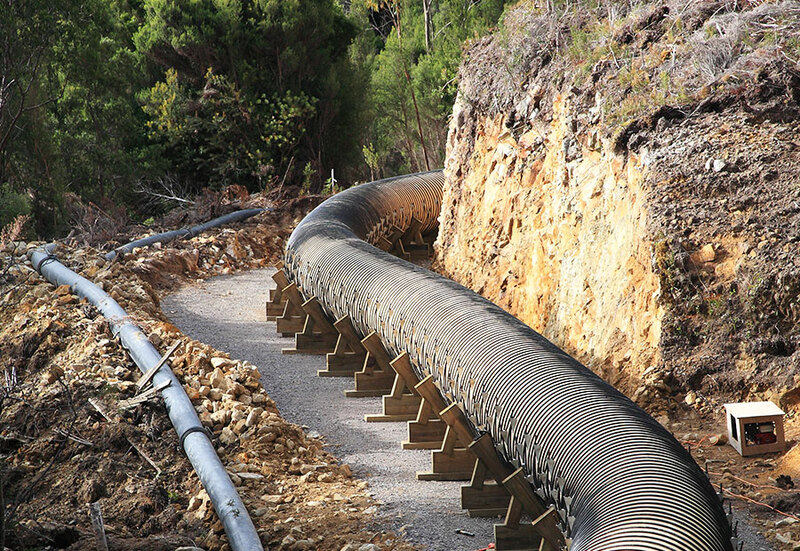 When full, the pipe will hold three million litres of water on its way to the penstock, which, although officially rated at 1600 kilopascals, has been tested up to 2000 kilopascals pressure down the 38-degree slope to the rejuvenated Lower Lake Margaret power station. 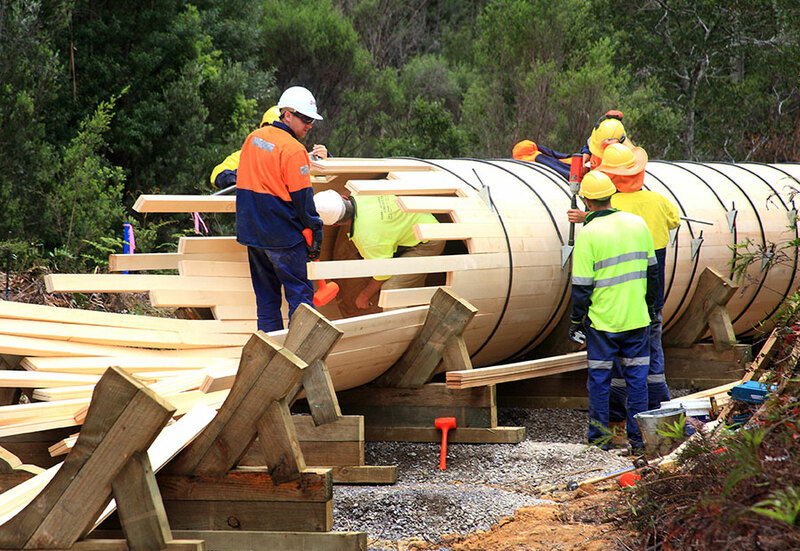 The project was finished on time, on budget and on target to rejoin Hydro Tasmania's electricity network, but it also became one of the prime pieces in the jigsaw of Tasmania West Coast Wilderness Tourism Trails. The site at Detention River in Northern Tasmania was situated on the outside of a river bend that coincided with a local community. Constant erosion of this river bank was exposing properties to undermining as well as exposing essential services; sewerage and electricity, to possible damage and subsequent contamination. 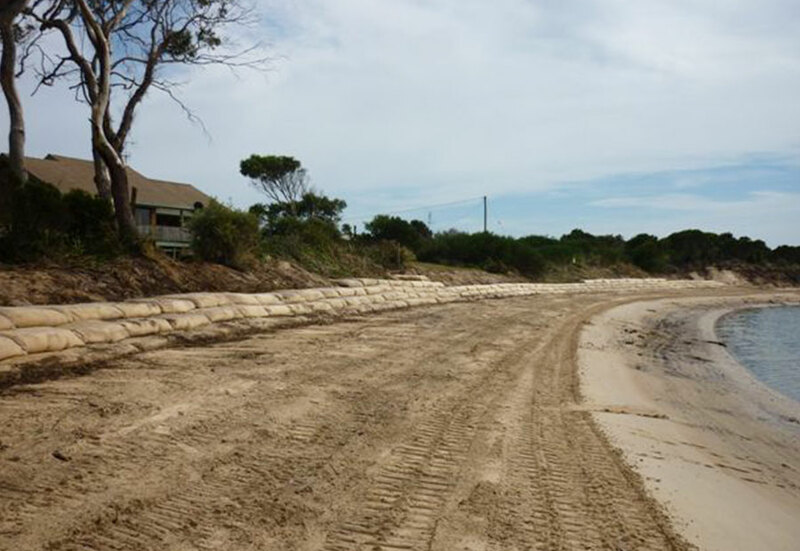 Initially the community and council of the Detention River precinct sought out a design and construct model package for a revetment wall to stabilise the existing bank and prevent further erosion. Shaw Contracting a concept design, sought some design support and a solution was presented to all parties. Upon securing reasonable funding, the community approached Shaw Contracting to design and construct the wall based on the available funds. 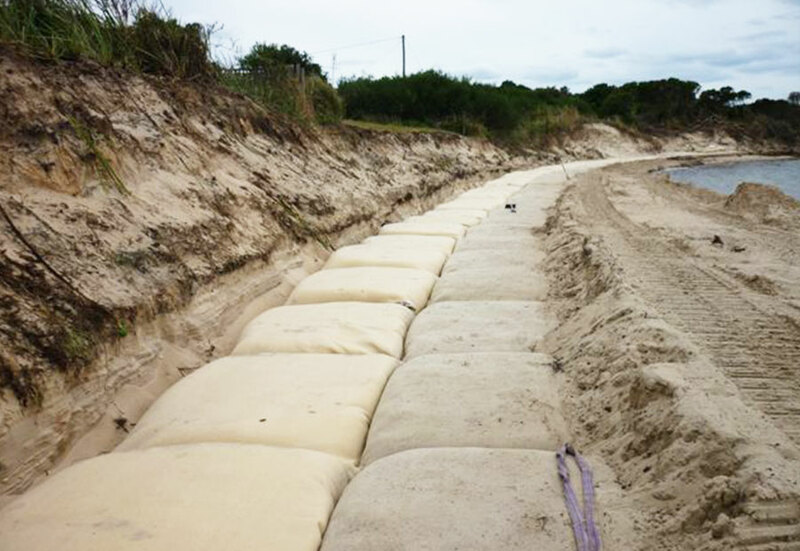 Shaw Contracting then set about assessing the site and the most feasible option of an Elcorock shoreline protection system was the chosen ‘engineered solution’, due partly to its soft amenity and ability to rapidly construct within the tight confines of the site. 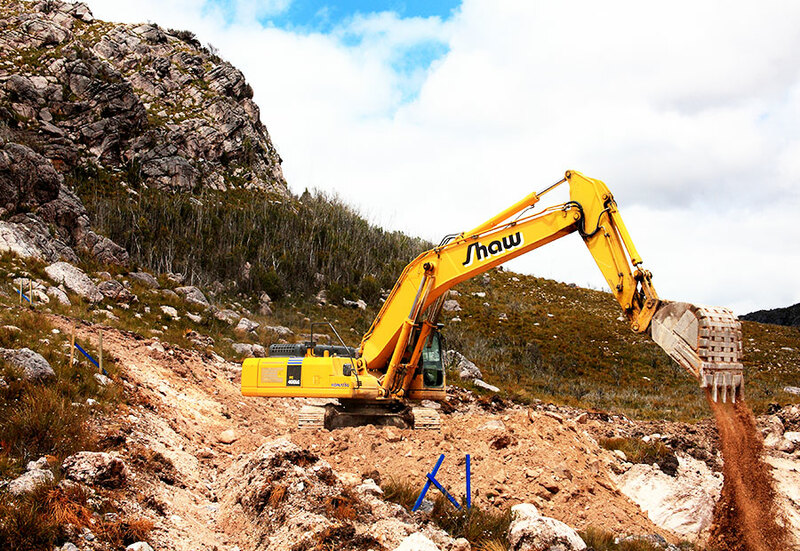 Shaw Contracting engaged Geotas Pty Ltd and Geofabrics Australia for supply and support in constructing the first ever Elcorock project in Tasmania. Placement and filling of the Elcorock containers was completed on time and on budget without any incidents, loss to performance or amenity to the structure. 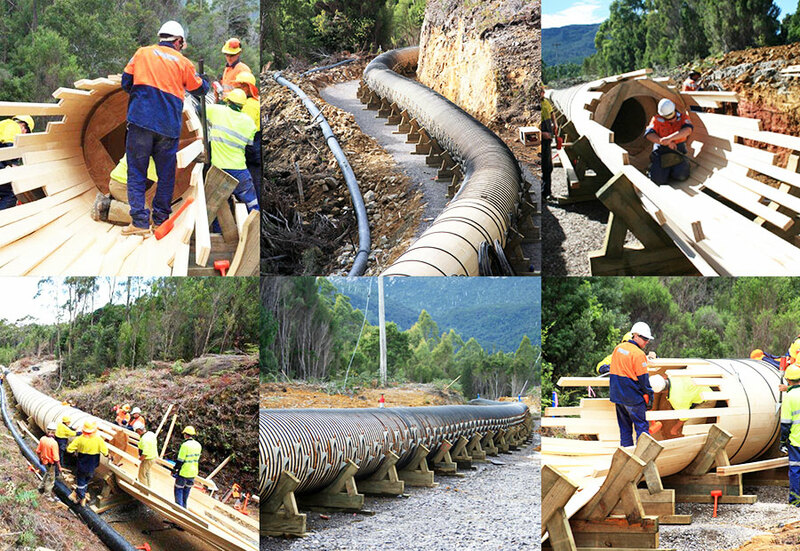 The successful completion of the first Elcorock project in Tasmania at Detention River represents an effective work method for other problem sites such as this across the state. 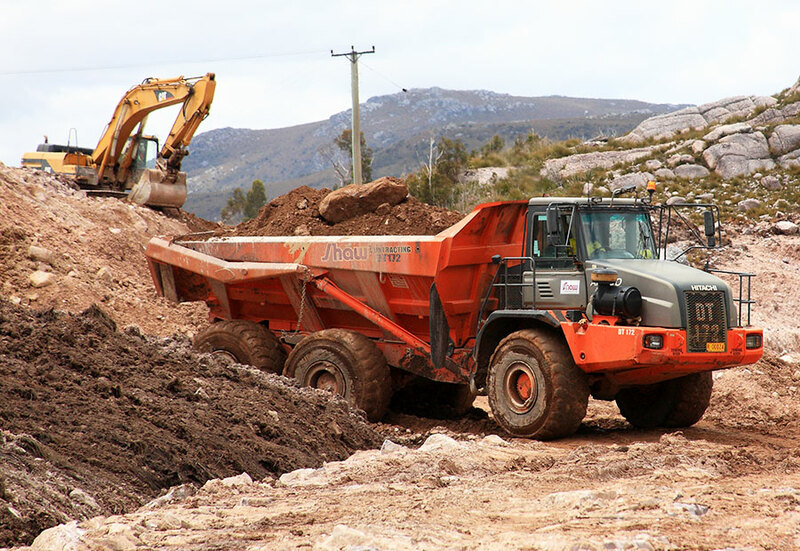 Site preparation to final completion with detailed earth works associated with construction of the HDVC transmission facility at George Town that links the Tasmanian and Victorian electricity supplies. 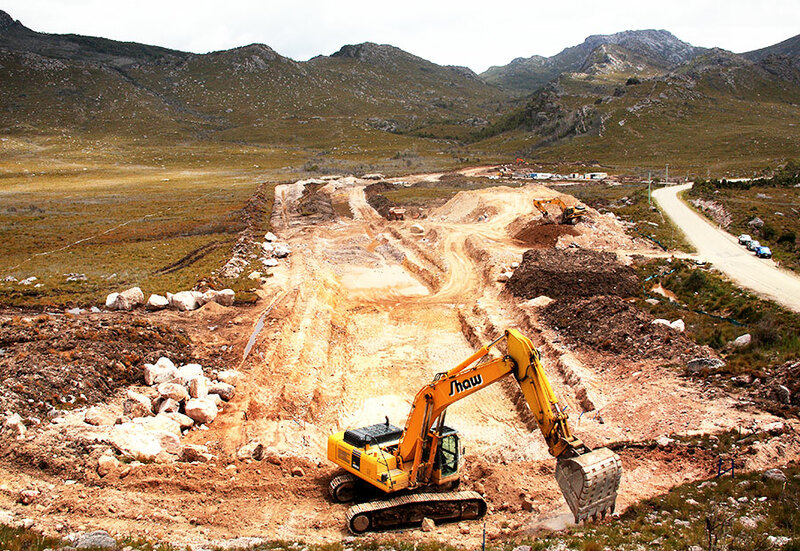 The project included excavations and preparation of the land in readiness for the civil construction. 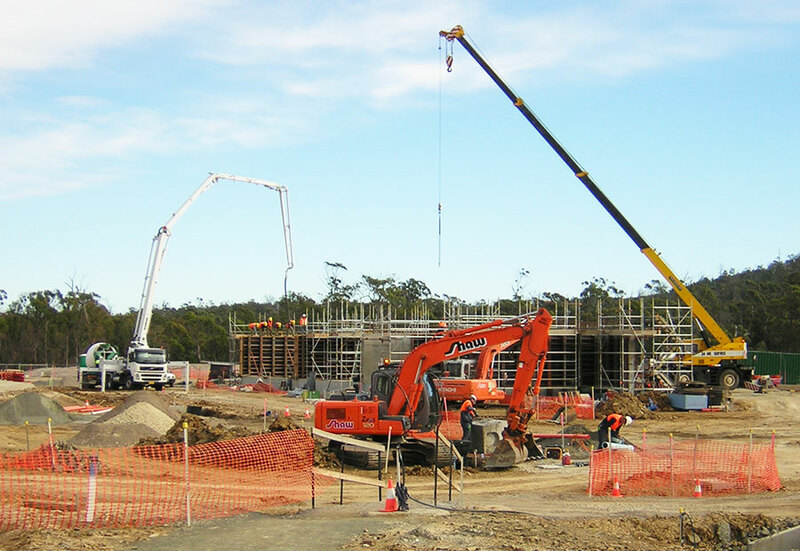 Construction included, the control building, valve hall and transition yard each including air conditioning, heating, fire detection, all electrical works, concrete works, steel structures and cladding, masonry and finishing works and sanitary. 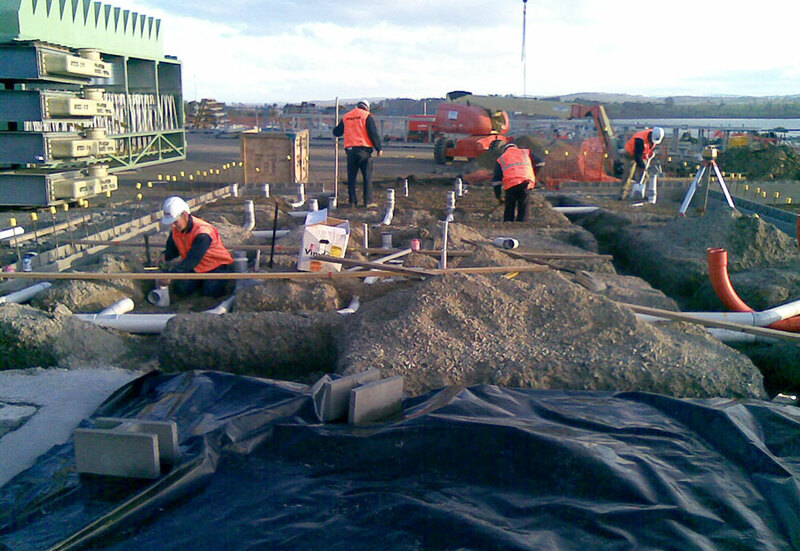 Shaw installed a number of precast cable trenches to take the cables installed around the site, and 22 in-ground concrete pipes, each 2.5m diameter and 25m long, which will be used for oil containment in the event of a spill. The oil is contained so that it can be pumped out, thereby reducing any potential risks to the environment. 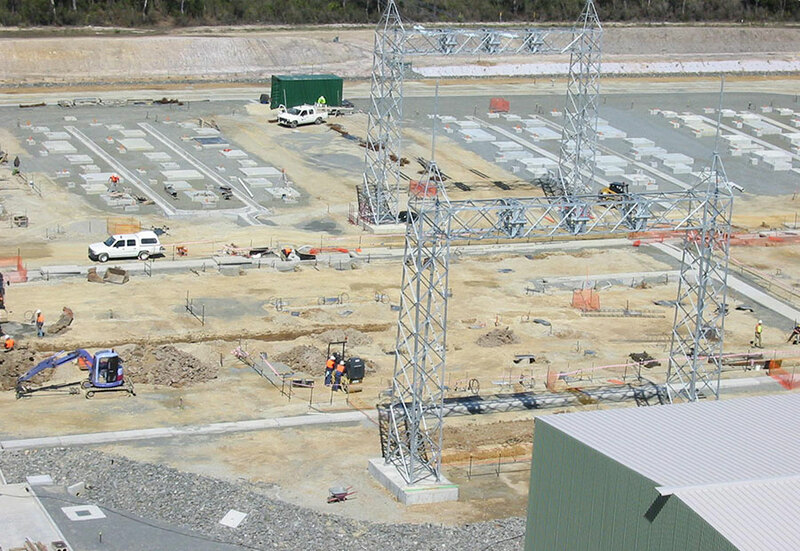 Each converter station consists of a control building, valve hall including transformer bays, auxiliary buildings, foundations in reinforced concrete for buildings and equipment in switchyard, external works, road and walkways, transition yards. 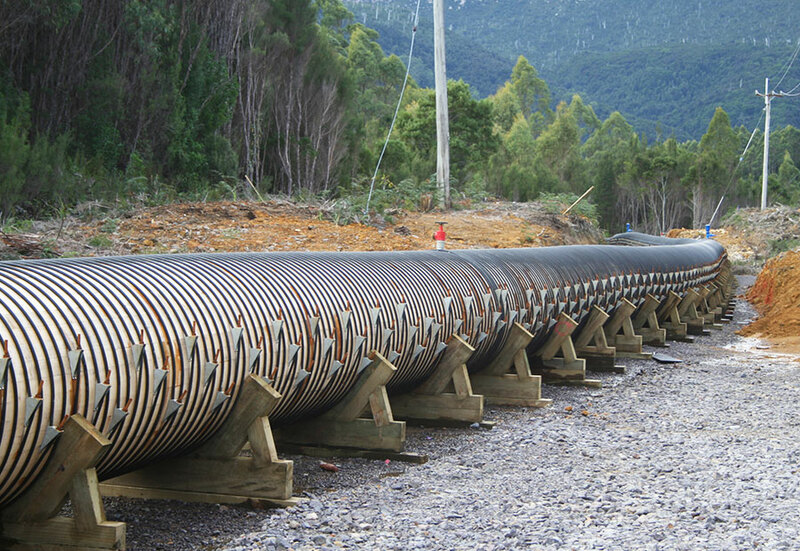 Approximately 2,000m3 of earth were removed for the pipes to be laid and back filled to specifications. 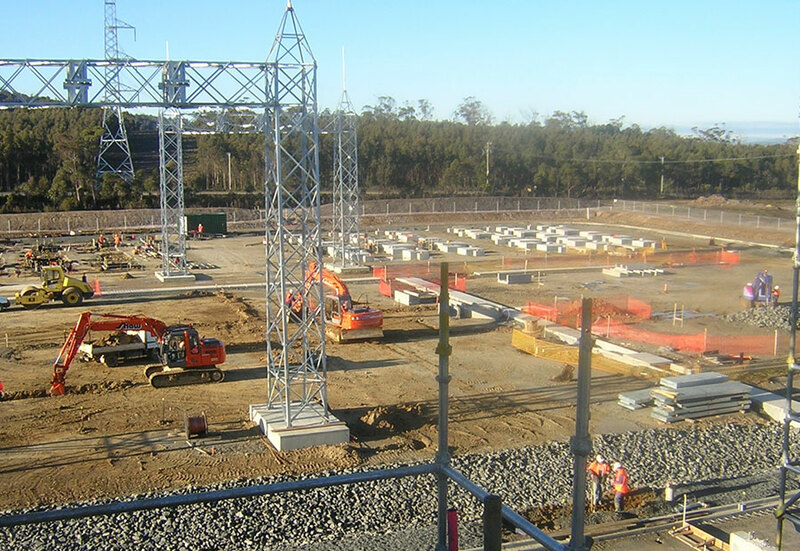 The total earth moved in the 500m x 500m converter site was approximately 25,000m3. The switchyard work involved the construction of approximately 420 bored concrete piles and pile caps, with holding down bolts set into them for installation of other structures necessary to complete the electrical switchyard. 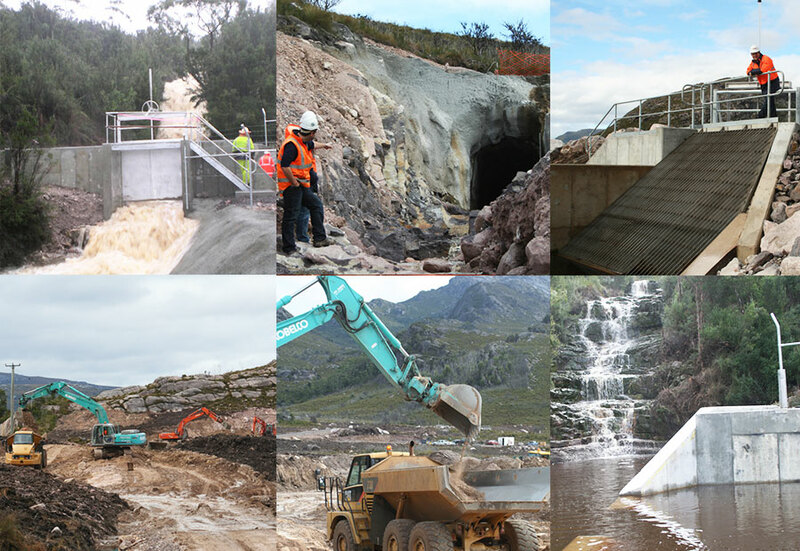 Hydro Tasmania has taken up the challenge to identify and develop opportunities from the current system, which could be captured to restore lost water inflows rather than just accepting a reduced system capacity. On this basis a target to identify 1000 GWh of additional energy from system enhancements of the Hydro Tasmania’s assets was set. The Red Hills Creek Diversion Project is part of targeted catchment diversion and diversion upgrades. An objective of the project was to increase existing storages, such as Lake Plimsol, to capture grater inflow to be release during drier periods. Lake Plimsol was reduced in size in the mid 1990s due to the need to cut costs. This project is part of Hydro Tasmania’s plan to upgrade or redevelop existing power stations, some of which are up to 70 years old. Positioning two structures on the Red Hills Creek and Number 1Creek to capture the natural overland run-off and that of several creek tributaries, the project sees a V drain which catches the overland flow and channels it through a series of pipes which ultimately diverts the flow under a roadway and to a tunnel portal into a natural watercourse. Charging and blasting was carried out with the aim of minimising damage to the walls and backs of the tunnel. This required careful selection of explosives and charging to conform to the rock type and geotechnical conditions. One of the major challenges facing the project was the weather. 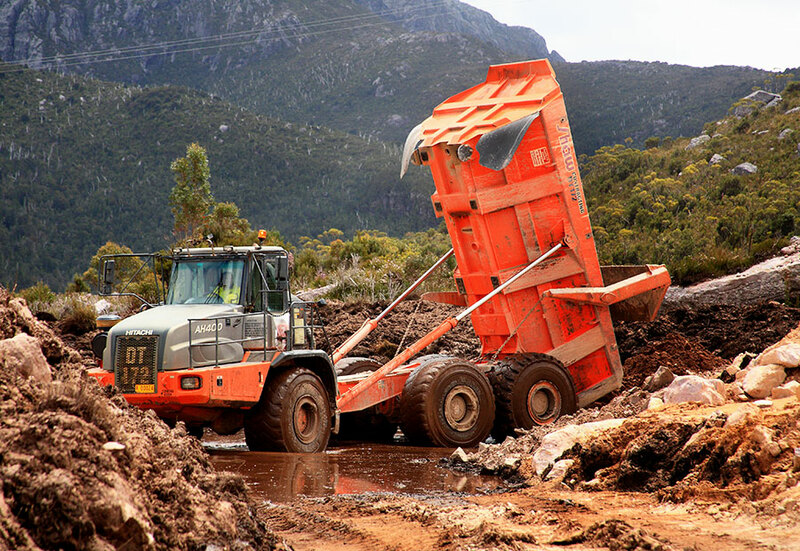 In one week more than 250mm of rain fell on the site making conditions extremely difficult for heavy machinery. 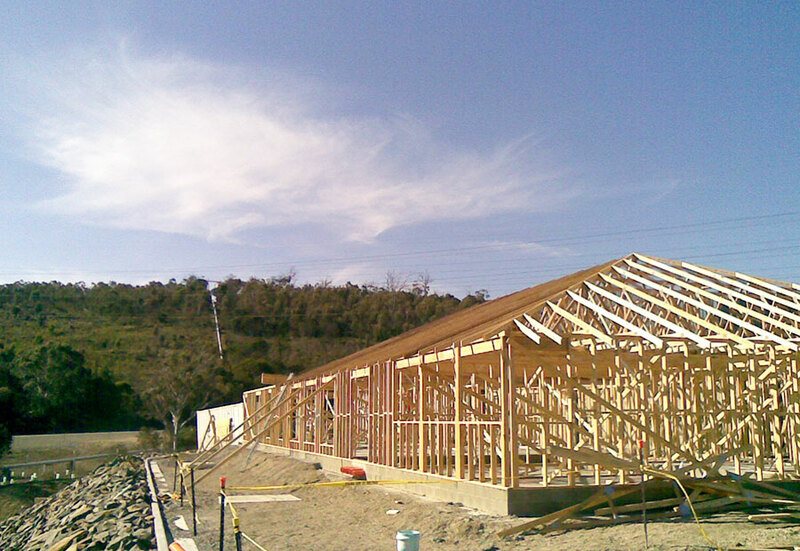 Also, as a design and construct project a number of design changes were required as the project developed. Unexpected variations in rock structure required the need for alternative structures to be developed. 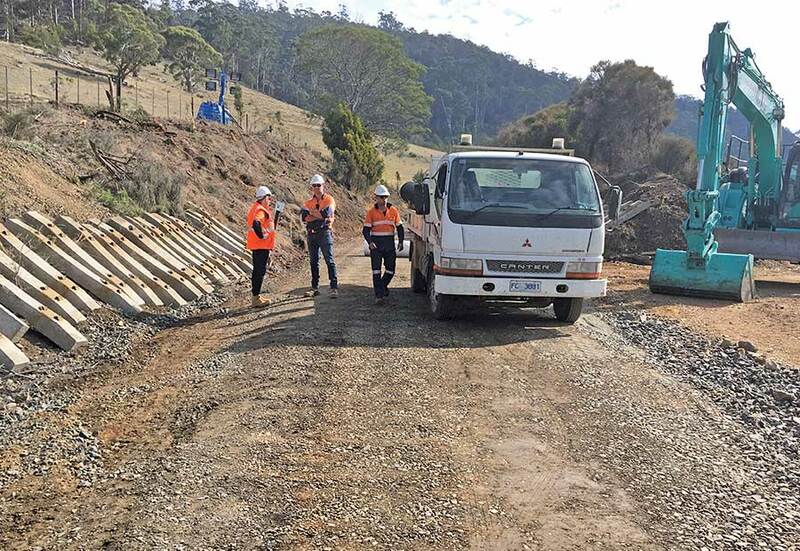 The Red Hills diversion project will contribute an additional five percent output on the existing power station while contributing to Hydro Tasmania’s objective to source an additional 1000 GWh of additional energy from its existing generation assets. 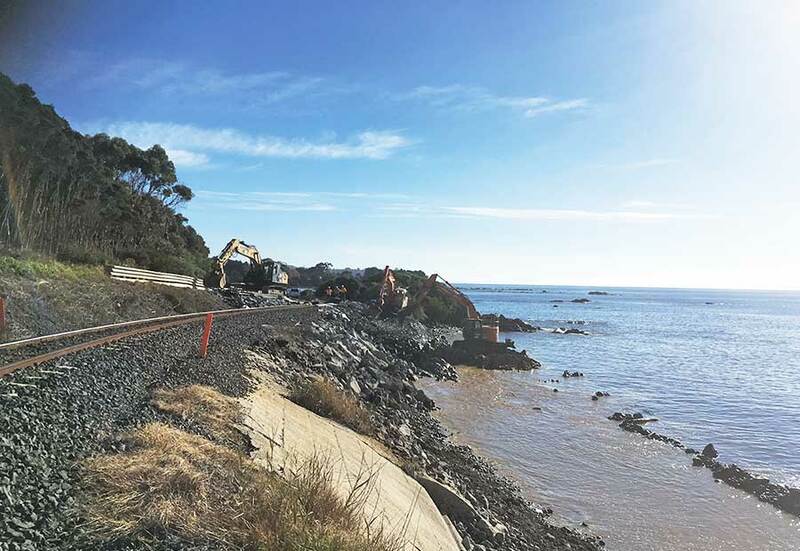 To remediate fourteen sites identified as single points of failure posing high risk to the ongoing operation of Rail Freight Services on the South Line and Western Line, due to coastal erosion and land slips. The Western line (11 sites) and Southern line (3 sites) are on an operational railway transporting freight across the state which must be available to meet the scheduled running times for all trains. The three sites on the south line required remediation due to land slips of the existing embankments. These needed to be reinforced with rockfill and the track to be removed (by others) with the existing formation excavated to the underside of capping approx. 0.7m depth and reinstated. The sites had a maximum no train window to conduct the works of 34hrs Starting Saturday morning and finishing Sunday afternoon. 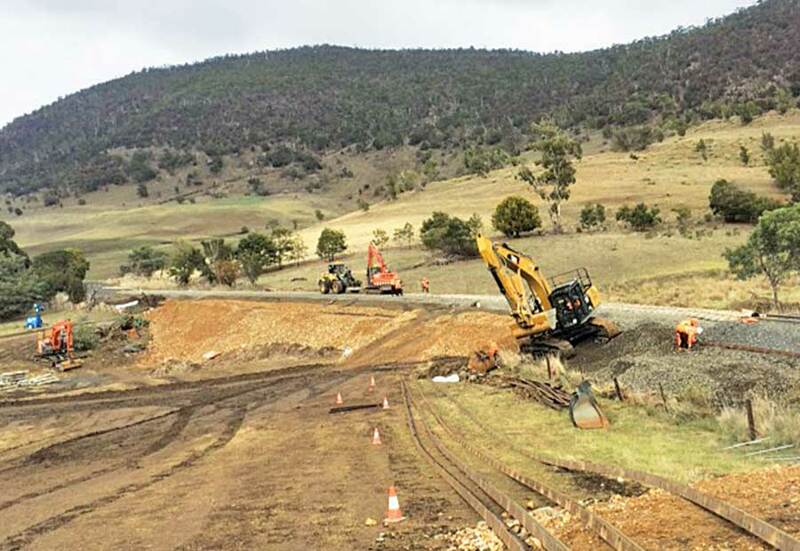 To complete the works within the tight timeframe, preparation works outside the rail corridor and stockpiling of all materials was completed during the weeks prior to the weekend formation replacement. Extra plant and equipment than were necessary was brought to site to provide backup in case of equipment breakdowns. For the 11 sites on the Western line, the works were predominantly focused on Coastal Erosion and the remediation of sections of track that were exposed to the Bass Strait. 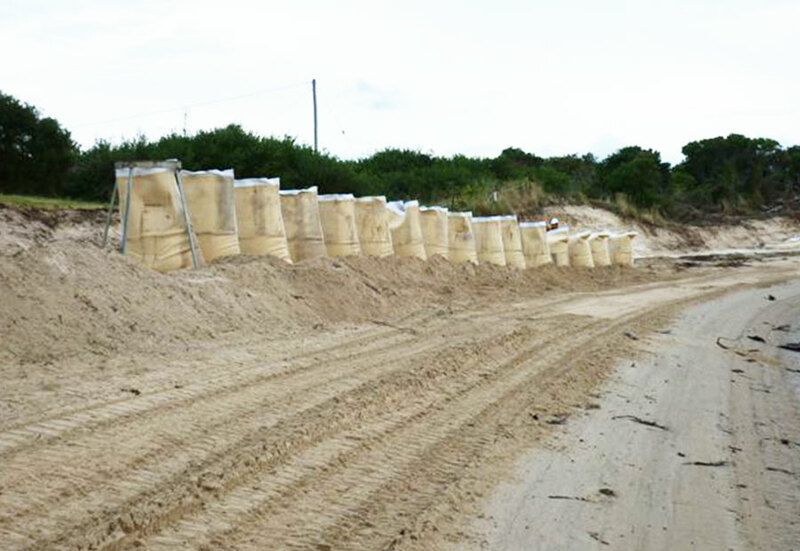 These sites required rockfill and armor rock to be installed beside the railway to prevent further erosion. 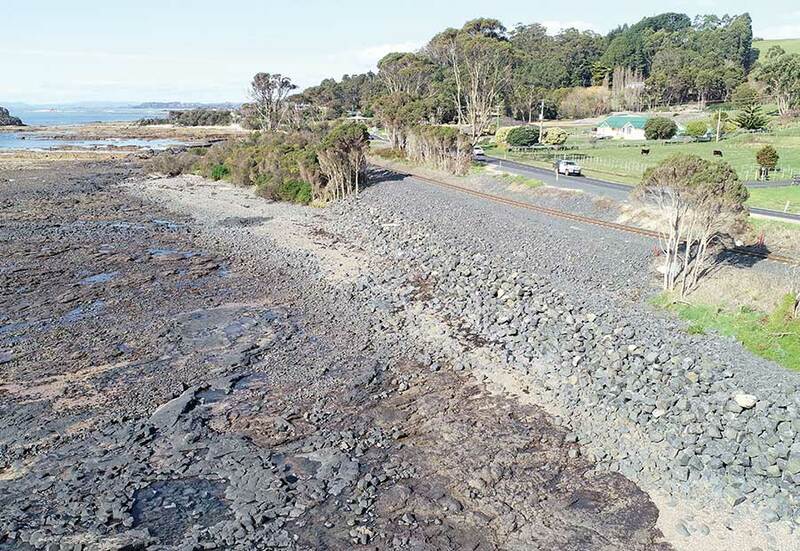 Due to the locations of the sites being on the shore side of the railway within the tidal range of Bass Strait, on either Crown land or National park there were many stakeholder requirements to be met to permit the works to proceed. Some of these were aboriginal heritage sites of significance nearby and environmental concerns requiring compliance with many protocols at these sensitive sites. Significant height differences between the road the rail and the foreshore made getting the machines and materials onto the site difficult, the challenge was met by the workforce using innovative ideas to conduct the works within its footprint, minimising disturbance to the surrounding environments. 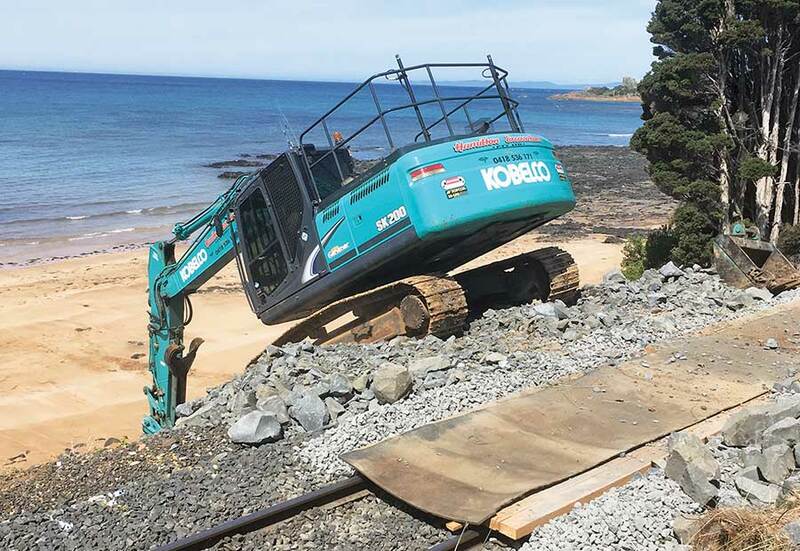 Accessing the worksite across the railway without causing disruption to the scheduled trains was key, rather than the easier option of delivering machinery and materials along the beach at low tide which posed a greater risk of harm to the environment. One site was known to have Little Penguins occupying the site. 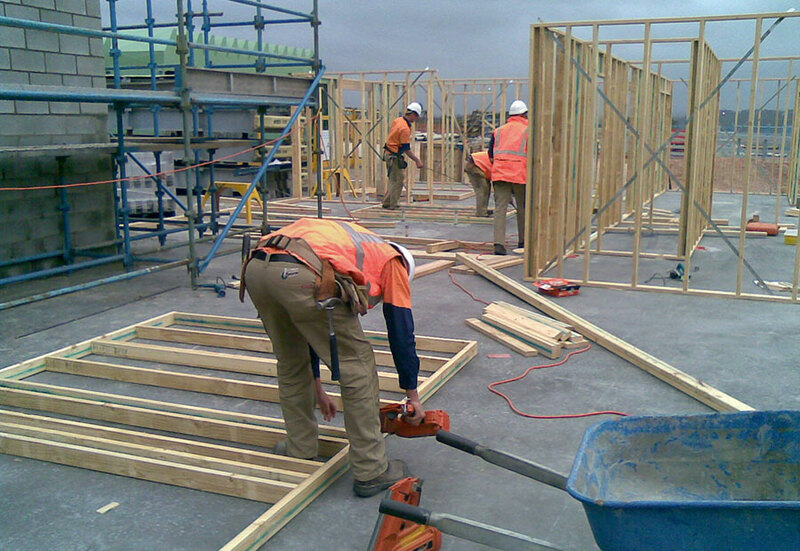 Prior to commencement of construction a National Parks Permit was sought, and several penguins were relocated at the same time temporary fencing was installed to prevent the penguins re-entering the site whilst machinery conducted operations at the site. 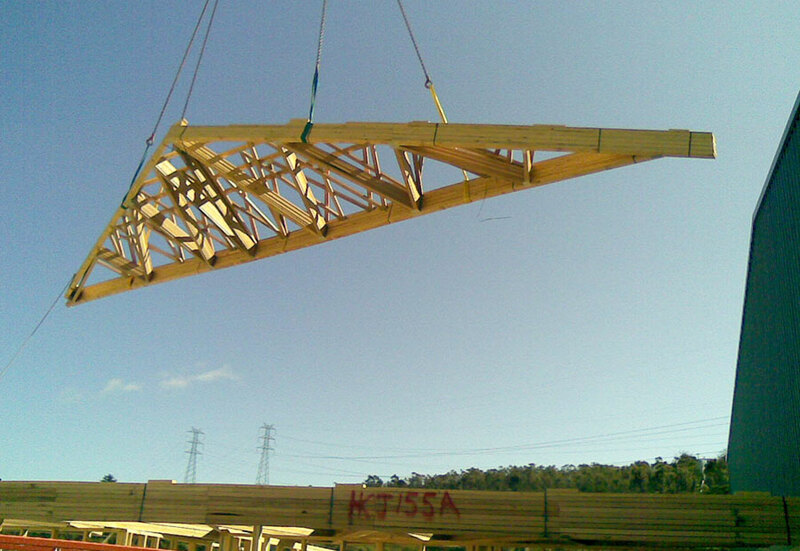 The works were executed to program and the client’s satisfaction. The problematic sections of rail embankment that previously required constant care and maintenance are now trouble free. The maximum allowable speed limit has been applied to the repaired sections after decades of speed restrictions which has markedly improved efficiency, safety and reliability to the Rail Freight Service. 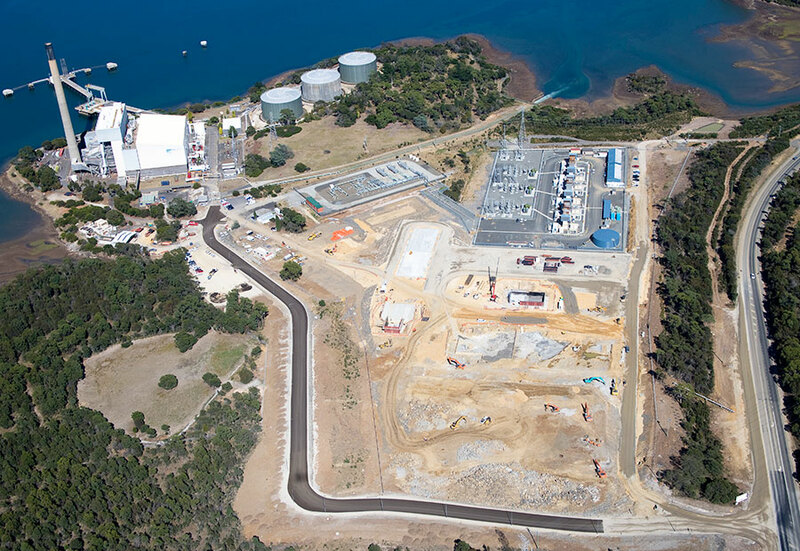 Following Shaw’s successful completion of the major earthworks and civil works for Alinta Tamar Valley, Shaw was then engaged to design and construct a complex suitable for the main operating centre of the power station. Shaw provided four building design options in the initial design phase for the client to select which would best suit their requirements. Shaw then worked up the architectural design to obtain council approval. However, as there was no sewerage outlet facility on site, planning approval could not be achieved without a Waste Water Treatment Plant. Shaw was in turn, engaged by the client to design a suitable Waste Water Treatment Plant that would meet site and council requirements. The Shaw team designed a class A Kelair Blivett, environmentally friendly system that completely irrigates processed sewerage onto a designated vegetated area onsite. 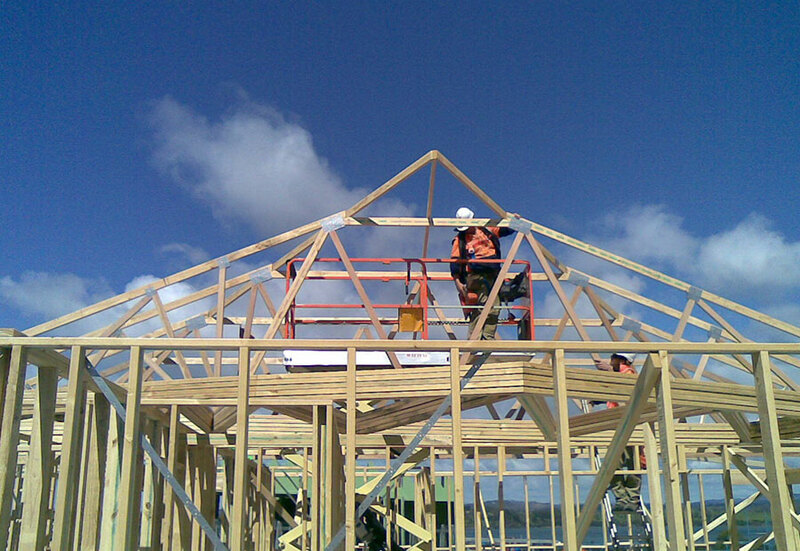 This project was to be fast tracked and Shaw was expected to meet a tight completion time frame. Following the successful design and approval process, Shaw commenced construction of the Control Building Complex. A 600m2 Structural Steel and Trim deck Clad Warehouse. 465m2 Control Building suitable to accommodate 30 – 40 employees. Control & Equipment Room with office and kitchen facility featuring a 300m set down floor for major telemetry and system management equipment fitted with a false floor and soundproof, fire retardant wall cladding system. Open plan office space suitable to facilitate 25 workstations. Male, female and handicapped bathrooms with multiple toilet, basin, shower and locker room facilities. 1 large and 2 small meeting rooms. 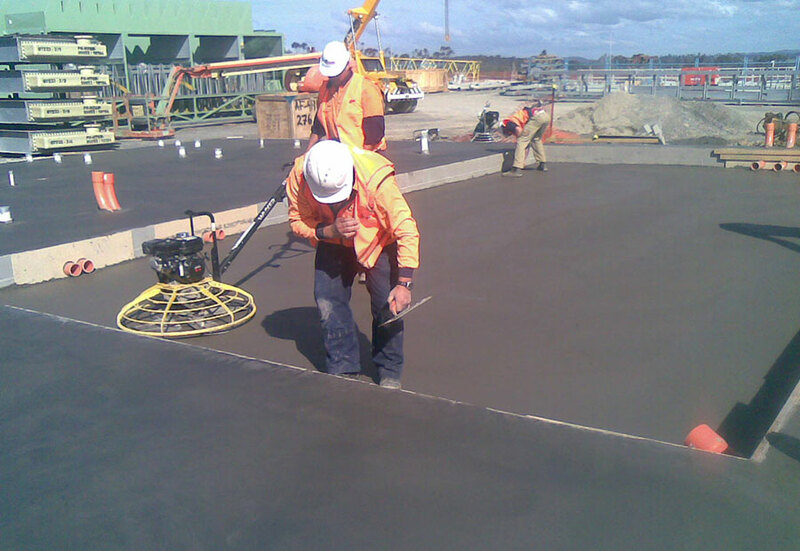 1 large work area used to undertake maintenance on highly sensitive equipment. Shaw Contracting also designed and coordinated the installation of electrical, data, lighting and mechanical services for this project. 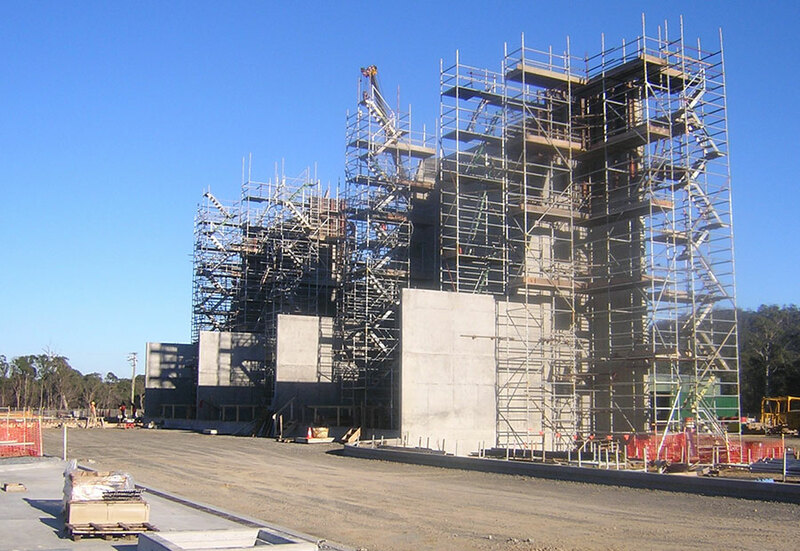 Shaw met the tight time and budgetary constraints of the D&C project and provided the client with a state of the art Control Building that will service this Power Generation Plant well into the future.